Xerox ColorQube is simple, economical, and green business printing. Xerox’s proven solid ink color printing technology gives you the most value for your money. Solid ink produces brilliant, vibrant prints on a wide range of media, is the easiest technology on the market to use, and produces 90% less waste than a typical color laser product. 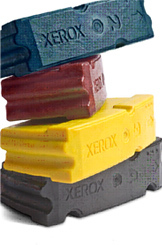 Xerox combines solid ink innovation with its legacy of advanced multifunction product leadership. The ColorQube multifunction printer melds two proven technologies into one unique device that eliminates cost barriers to printing color everyday. Our revolutionary new color multifunction printer utilizes cartridge-free solid ink technology to shatter color printing cost barriers. Now you can print everyday business documents in color. It also substantially reduces waste. ColorQube™ 9201/9202/9203 is the world’s first tabloid/A3-size solid ink advanced MFP, and our easiest color printing technology yet! Most metered plans charge the same price for a small amount of color on a page as they do for full color. ColorQube 9200 series pricing plans completely change this pricing paradigm by only charging you for the actual color you print. 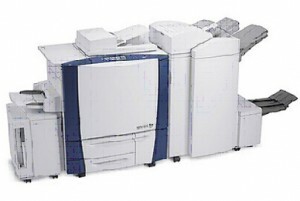 Now your office can utilize low cost color printing for documents at low-color coverage. Black-only pages and pages with low color coverage (such as typical emails, memos and Microsoft Word documents) are billed at the black-only rate, enabling very low cost color printing. Pages with moderate color coverage (such as typical flyers and Microsoft Excel and PowerPoint documents) are billed at slightly more than the black-only rate. Pages with high color coverage (such as typical photos, brochures, newsletters and marketing materials) are billed at the current market rate for color.